When it comes to finding a Tahlequah felony defense attorney you need someone who knows how the system works. I can be that person, because I’ve been on the other side as a former prosecutor. If you, a friend, or family member has been arrested on a felony charge in Tahlequah, or in the towns of Fort Gibson, Hulbert, and the surrounding communities, you need the resources of the Wirth Law Office’s Tahlequah felony defense attorney fighting for you at every stage of the legal process. When it come to your freedom, it’s crucial that you have an experienced felony defense attorney on your side. It could help with reduced jail time, charges reduced to a misdemeanor or dismissed charges and possibly a reduced sentence if you go to a trial. 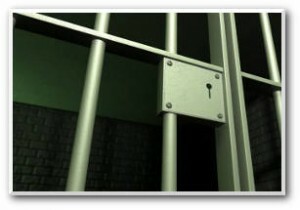 After an arrest, contact our office as soon as possible so that we can begin working to get you free from jail. Whether this is your first run-in with the law or not, an arrest can be a frightening experience. If you don’t know how to find a bail bonding agency, we have many that we work with to help your loved one try and gain their freedom as we work on their felony case. We’re here to make sure that your legal rights are protected as you fight a felony arrest. For a free consultation with a Tahlequah felony defense attorney call the Wirth Law Office today. There’s no obligation and no cost to talk to our staff that knows how the Cherokee County court system works. As always, your correspondence and questions are confidential. When it comes to defending yourself against a felony charge, time is not always on your side. If you need effective criminal defense in Tahelequah, call the Tahlequah felony defense lawyer at (918) 458-2677 or toll free at (888) 447-7262. If you prefer written correspondence, send us your legal question using the form at the top right of this page.